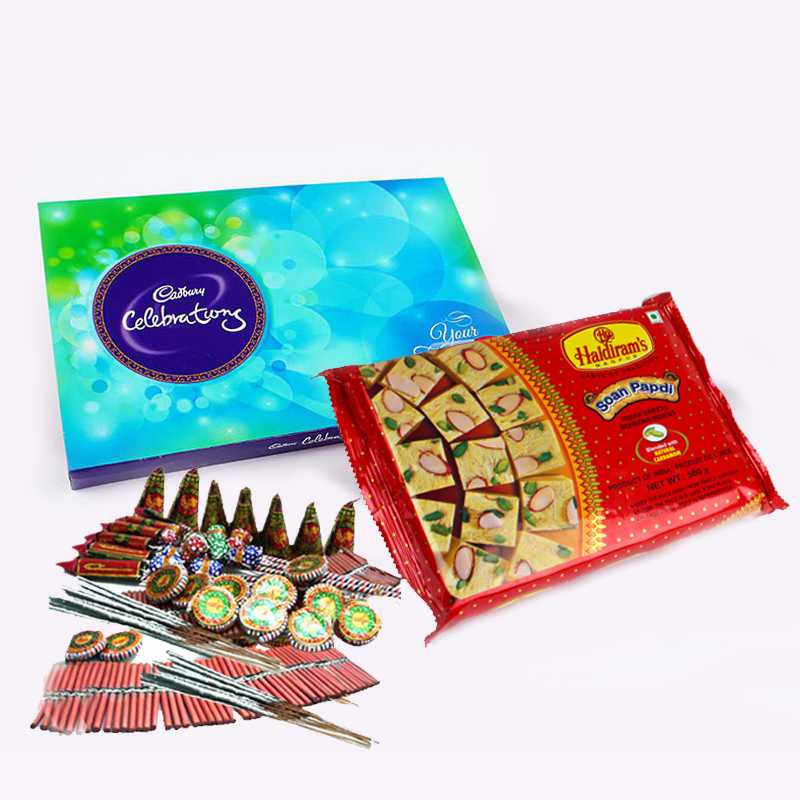 Product Consist : Box of Soan Papdi (Weight : 500 Gms) and Cadbury Celebration Chocolate Pack (Weight : 118 Gms) with Assorted Fire crackers (Worth Rs.300/-) (Note: Types of Fire Cracker are depends upon their availability no specific choice). 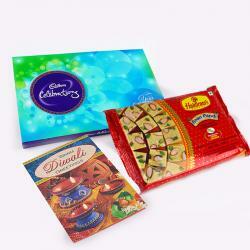 Send the happiness and prosperity to your relatives and friends on this festival with this Gift Hamper. 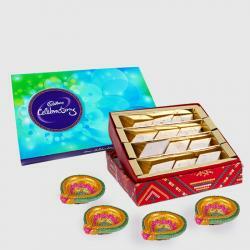 Diwali is round the corner and we are all geared up with unique and adorable gifts. One hamper of true happiness that you can delight your dear ones with is definitely this that has a gorgeous blend of Diwali Fire Crackers along with a Sweet Soan papdi Box. 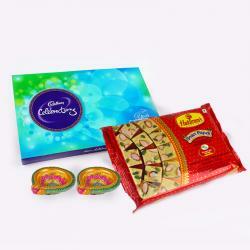 Sending someone a Celebration chocolate Pack is the most special gift suitable for every occasion. Give a chance to your dear ones to cherish it for a lifetime. 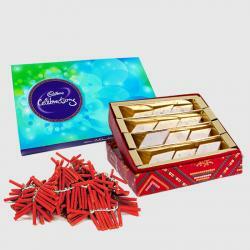 Product Includes : Box of Soan Papdi (Weight : 500 Gms) Cadbury Celebration Chocolate Pack (Weight : 118 Gms) and Assorted Diwali Fire crackers (Worth Rs.300/-) (Note: Types of Fire Cracker are depends upon their availability no specific choice).